using the same procedures as for normal surfaces. length correspond to the height, width, and length given in the orthographic views. In this case, a receding axis of 30, was chosen (view B). Using very light lines, lay out the specific details of the object. 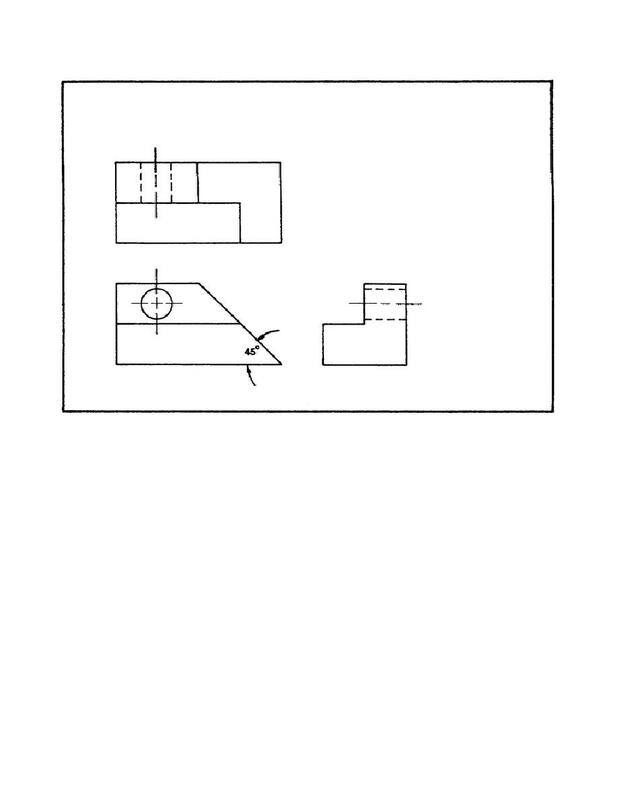 the oblique drawing (views C, D, and E). their final color and configuration (view F).